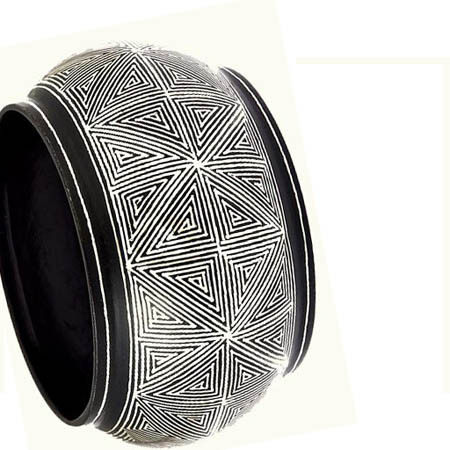 Geometric and edgy, this bangle was inspired by an ancient art form and hand crafted by a team of master craftsmen using pure silver hand inlaid on rich black metal. 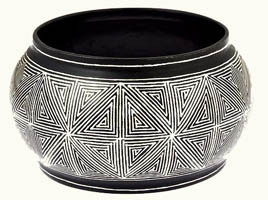 It features an eye-catching art deco pattern. Available in S (2-4/16"), M (2-6/16"), L (2-8/16"). �2005-2019, Maya Jewels LLC. All rights reserved.